eross closed T215940: Mailing list migration for Arbitration Committee to Google Group as Resolved. eross added a comment to T215940: Mailing list migration for Arbitration Committee to Google Group. Nemo_bis awarded T215940: Mailing list migration for Arbitration Committee to Google Group a Heartbreak token. eross added a comment to T188753: WMCZ want to use its own mail system instead of OTRS queue wm-cz@wikimedia.org. To OTRS admins: Is it possible to export OTRS queue, send it to me and then delete it? Thank you. Sent a test email, please let me know if the routing is working properly. 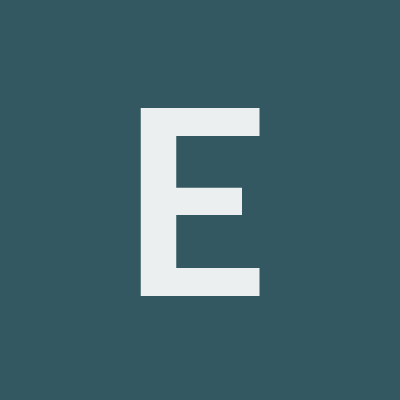 eross added a comment to T127488: (re)move problemsdonating aliases. @Dzahn This is done. I will speak to James A and Fundraising to see next steps. @Dzahn From the ticket on Zendesk it stated problemsdonate@ but I can change if it needs to be problemsdonating@ however, problemsdonating@ is already created as an user account to which hasn't been logged in since 2/27/14 which is possibly managed by James A. @Dzahn OK, I just created the Google group with problems.donating@wikimedia.org, problemdonating@wikimedia.org, problem.donating@wikimedia.org and comentarios@wikimedia.org pointing to problemsdonate@wikimedia.org. Just need to find who was subscribed. @Jgreen Hi, do you have a list of who was subscribed to these aliases? eross added a comment to T160400: Request for email address seniori@wikimedia.org. @Dzahn OIT can create the account seniori@wikimedia.org but we can't point it seniori@wikimedia.cz. due to the fact all our domain is .org. But if I'm wrong @bbogaert feel free to correct me. eross added a project to T160400: Request for email address seniori@wikimedia.org: Operations. I seem to be a bit confused. Are you requesting for IT to make seniori@wikimedia.org address ; but then do have emails from seniori@wikimedia.org to fwd to seniori@wikimedia.cz ? eross added a comment to T140408: FDCsupport@wikimedia.org: Add/remove some members. Yes that is correct dmenard to be added and klove to be removed. eross created T140408: FDCsupport@wikimedia.org: Add/remove some members. eross created T126640: Remove/ archive inspire@lists.wikimedia.org. eross added a watcher for Office-IT: eross. eross changed hashtags for Office-IT, added #OIT; removed ##OIT. eross added a member for Office-IT: eross. eross created T118900: Remove exim aliases for cdeubner. eross added a comment to T115150: Education Alias. Yes this was helpful. Thank you! eross created T115150: Education Alias. eross added a comment to T110608: Create Policy mailing list (for Yana Welinder). eross created T111125: Please add kharold@wikimedia.org to grants alies. eross created T110608: Create Policy mailing list (for Yana Welinder).